I really love homeware. I'm a true believer that the interior of a home is what gives each home your own, individual touch. That can be anywhere in the home, but one room that I like to spruce up and make it my own is my own personal space - my bedroom. 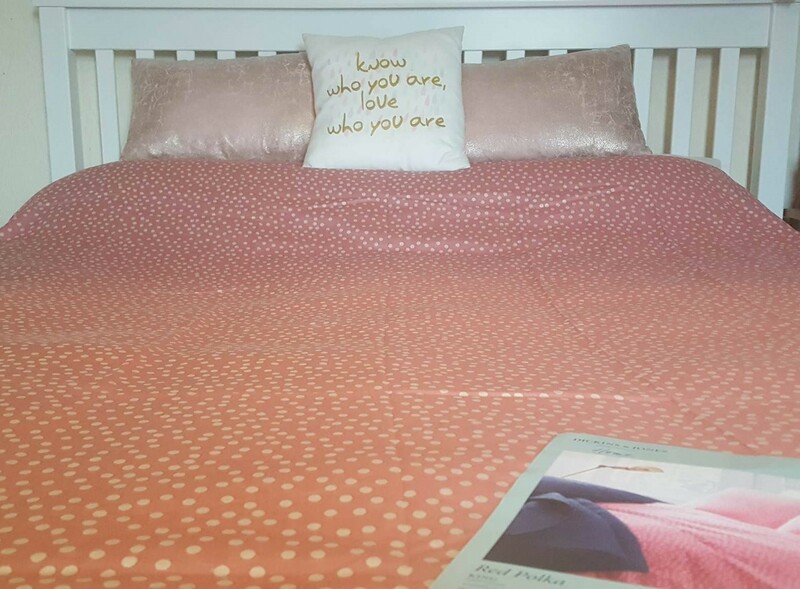 My bedroom is my sactuary, my own personal place where I can chill out, relax and have some me time. I don't have tons of bedding though, so I was rather excited when I got an email about a collaberation with House of Fraser with the chance of choosing some bedding to review. With a budget given I went on the hunt for the perfect bedding that suited my style and went well with my bedroom deco. It wasn't the easiest of tasks because House of Fraser is very much highend, but I managed it and came across this rather beautiful Dickins & Jones red polka dot duvet cover. 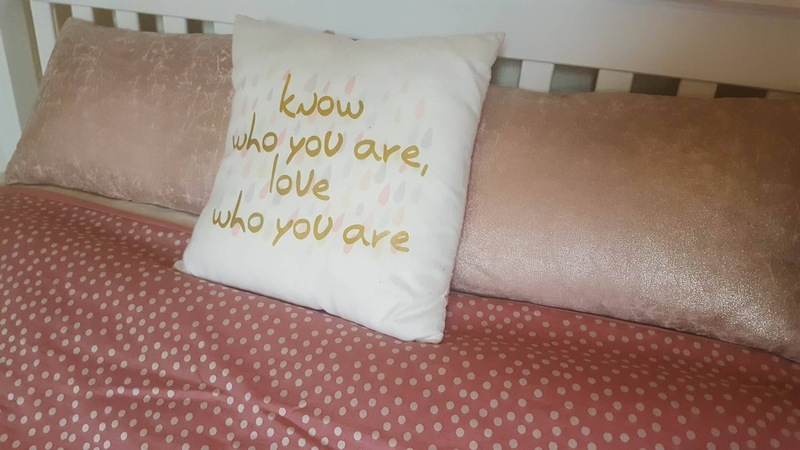 Originally priced at £90 made this a rather highend product and very much out of my usual duvet cover budget, but down to £28.80 made it much more affordable, although it only came with a duvet cover and the pillow covers were sold seperately. The colour of the duvet is slightly deceiving to the online picture and its a much more dusky pink to the red it shows online, but very pretty and fun nontheless. The quality is exceptional and the heaviness of the sheet alone really shows. It's also 100% cotton. I'm really impressed with the cover, it's very soft and comfortable. 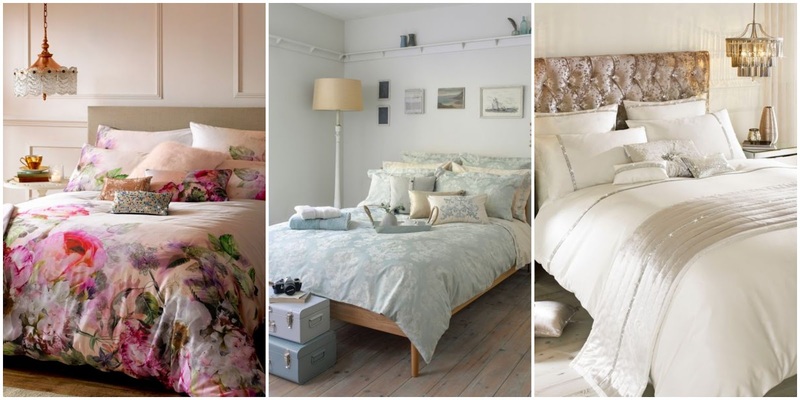 House of Fraser have so many pretty designs and there's lots that'll suit everyone's budget. I'm in love with the Ted Baker range and many other classic styles. Below are some of my favourites. It looks make me suit...thank you! !